It's been a while since I posted a recipe here. The truth is, I haven't cooked as much recently as we travelled a lot, and when we were home I mostly relied on some of my staple recipes and quick dishes. Also I had the pleasure of hosting a Food Blogger Connect Potluck at my house last weekend and my lovely fellow bloggers cooked and brought some amazing dishes (I still have a lot of food in the freezer). Hence I haven't really had a chance to try any new and exciting recipes for my blog to share with you. 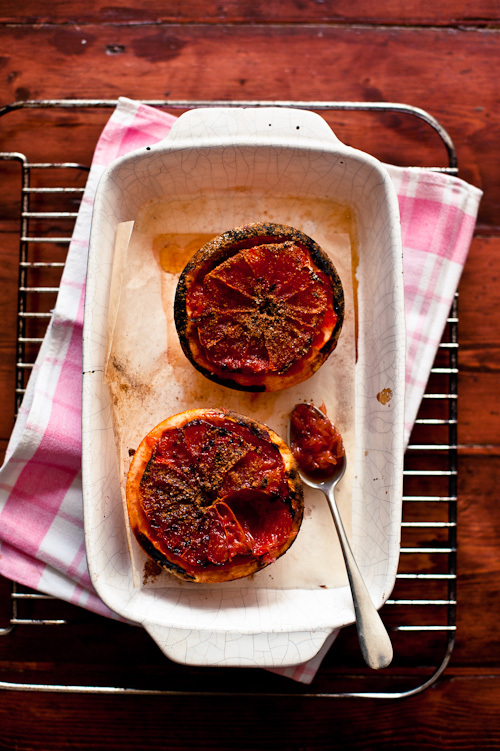 However I stumbled upon a very interesting recipe for broiled grapefruit at The Kitchn last week and I had to give it a try. I was always the only one in my family who ate grapefruit. 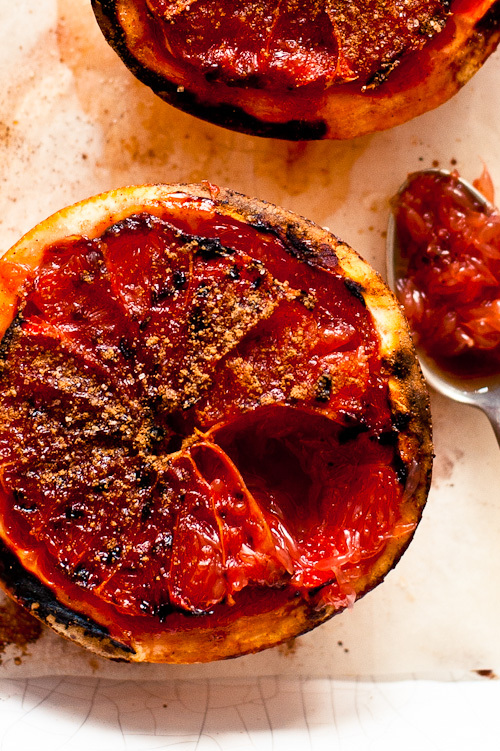 I love this bitter fruit and don't hesitate to experiment with it in different recipes. Broiling was a totally new concept which I have never tried before. It really changes the taste of the fruit and the cinnamon sugar add an interesting kick. It's a perfect breakfast full of vitamins on cold winter mornings. 1. Turn on the broiler. You should keep the oven door open a crack during broiling. Halve the grapefruit then run a sharp knife around the inside edge to loosen the flesh from the skin. Place the halves in an oven proof dish. 2. Mix the cinnamon with the sugar in a small bowl. 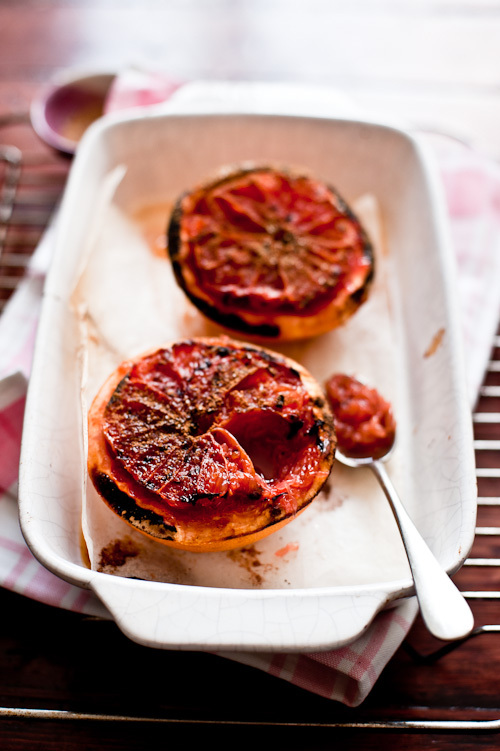 Sprinkle cinnamon sugar over each grapefruit half and broil for 15-20 minutes until the sugar caramelised and the edges are brown (mine got burned a bit). Let it cool slightly and serve. Sprinkle some more sugar over the top if you want.